Bevi Eyewear - Put the smile on your face ! At Bevi Eyewear, our mission is to be the premier shopping and inspiration destination for the top brands, latest trends and exclusive styles of high-quality fashion and performance sunglasses. 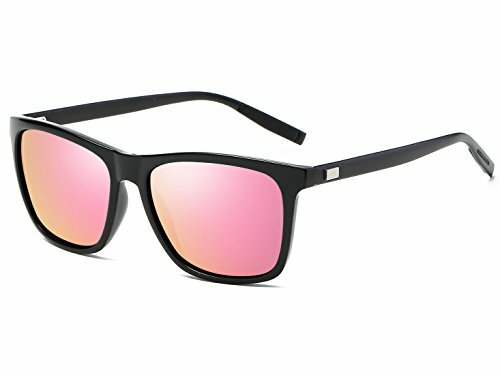 Bevi Eyewear sunglasses are suitable for a high fashion accessory and daily wear all year round. It is also gift packaged ready, making it a wonderful yet practical gift idea for friends and family! Put the smile on your face. ★Remember 100% GUARANTEED - In case any broken problem happens, contact the seller of Bevi Eyewear without hesitation to solve the problem until satisfaction. You have no risk to try and we will provide you the best service! ⭐️100% UV400 PROTECTION - UV400 Protection Coating blocks 100% of harmful UVA & UVB rays. Visually restores true color, eliminates reflected or scattered light. ⭐️TAC Lens - TAC polarized triacetate lenses are impact and scratch resistant, lightweight and durable! ⭐️Hight Quality Materials - Bevi Eyewear sunglasses is made of high quality metal material and spring hinges that is durable enough for long time using. ⭐️100% GUARANTEED - In case any broken problem happens, contact the seller of Bevi Eyewear without hesitation to solve the problem until satisfaction. You have no risk to try and we will provide you the best service! If you have any questions about this product by Bevi, contact us by completing and submitting the form below. If you are looking for a specif part number, please include it with your message.